The Salesman beings with what at first appears to be an earthquake. A high-rise building is at risk of collapse and those within it are escaping, fearing for their lives. The opening sequence may be an obvious visual metaphor for events to come, but brilliantly sets the tone for a film that is meticulously constructed. The plot twists with precision and brilliant calculation, so that events feel believable but never predictable. The film moves between an amateur production of Death of a Salesman and the daily lives of the married couple, Emad (Shahab Hosseini) and Rana (Taraneh Alidoosti), who occupy the lead roles. Shortly before opening night the house they are living in becomes unsafe due to building work nearby. In desperate need of somewhere to live they decide to move into a shabbier but acceptable apartment in another part of the city. The previous occupant was an alleged prostitute, and after one of her former clients enters the house and attacks Rana, Emad is left searching for her attacker. The violence committed to Rana almost seems to emasculate Emad, and his efforts to find answers to the unsolved crime appear to be some kind of misjudged attempt to restore his personal pride. There is no moral redemption or personal satisfaction for those who inhabit this film. Sins and mistakes made will never be overcome, and their weight will always be felt. Over the last decade director Asghar Fahardi has become one of the most notable filmmakers in world cinema, with brilliantly tense and nuanced domestic dramas. The Salesman is another fine addition to his catalogue, even if it does not quite meet the heights of 2011’s A Separation. The director’s trademark mix of realism and heightened melodrama gives proceedings an emotive and impassioned quality. It is easy to be caught up in the affairs of these characters, and Fahardi is able to make domestic and personal struggle as tense as any thriller. There is a juxtaposition between the humble setting and hypnotic plot that makes this drama fascinating, and difficult not to be absorbed by. This elevation of ordinary lives to a level of operatic drama creates something that is incredibly compelling. The real skill of Fahardi is to be able to examine and display the social conflict within modern Iran in a relatable and personal manner. He shows a country and a city inhabited by real people who share many of the same fears and aspirations as us. Rather than merely being a news story or statistic, the Iran he represents on screen is full of life and feeling. Fahardi is a political filmmaker, but it is not overt way. Instead his stories are grounded in experience and the everyday, even if they twist and turn into conflict. My only criticism of The Salesman is that the moments on stage can feel slightly redundant. It can be difficult to know how the excerpts from Death of a Salesman relate thematically to the rest of the drama. I will, slightly embarrassingly, admit that I haven’t seen Arthur Miller’s ironic play and that there may links between his and Fahardi’s work that I have not recognised. 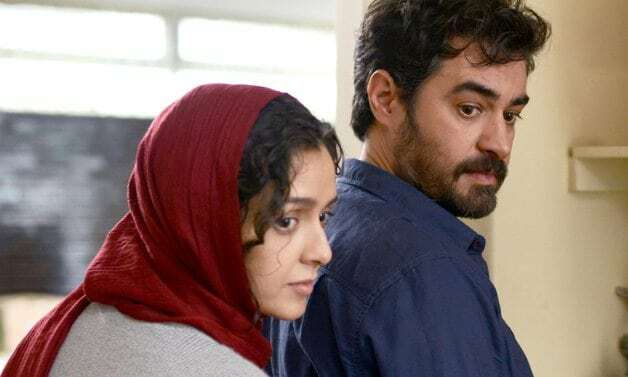 The Salesman contains the same mesmerising turns and emotional intensity that made Asghar Farhadi’s previous films so compelling. It is another absorbing domestic drama from the Iranian director that demands to be watched. The Salesman is in cinemas from Friday 17th March.